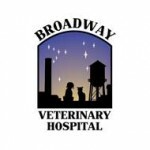 Broadway Veterinary Hospital is downtown Durham’s first animal hospital! Located within the Central Park district of downtown Durham, we opened in December 2013. We are a full service animal hospital providing veterinary care to the surrounding Durham community.